The Surgery & Emotion project is collaborating with the Royal College of Surgeons of England (RCS) to hold a one-day workshop, Operating with Feeling, which will take place on Friday 1 June 2018 at the RCS. The event will bring together surgeons, historians, policymakers and others to discuss the emotional experiences of surgery, past and present. The workshop is free to attend (but requires a refundable deposit of £20). Full programme and sign up available here. Surgery & Emotion is a four-year (2016-2020) project funded by a Wellcome Trust Investigator Award and based at the University of Roehampton. To learn more about the project click here. If you have any questions about the event, please don’t hesitate to get in touch with the Surgery & Emotion project via: [email protected]. If you have any queries about the registration process, please contact: [email protected]. 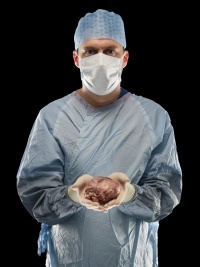 Image Credit: Adrian Wressell, Heart of England NHS FT (Wellcome).